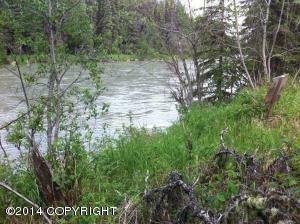 DESCRIPTION: Kenai Riverfront lot with 165 feet of river frontage. Great for residential or recreational use. Electric is adjacent to lot. Owner Financing Available!! DRIVING DIRECTIONS: Funny River Road to aprox. mile 17, turn right on Salmon Run Drive, follow road around, turn right on Fishermans Road, property is on the left. Look for real estate signs.